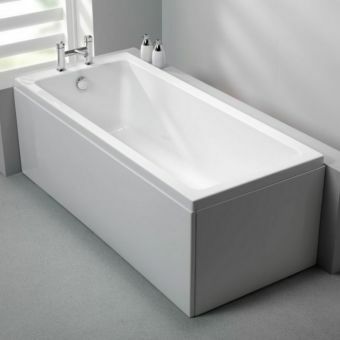 The VitrA Balance bath is a fantastic water saving bath available in 3 popular sizes to fit most British bathrooms: 1500mm, 1600mm and 1700mm long. The VitrA Balance bath saves water thanks to its economical design, a slightly shallower depth accompanied with a more generous angled reclining end mean less water is required to fill the bath, without any loss of comfort for the bather! 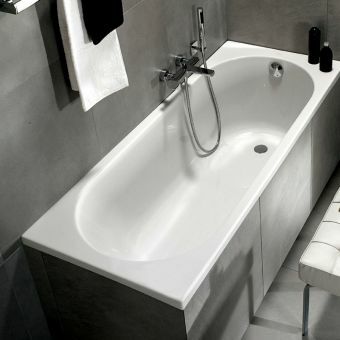 For example, a typical 1700mm bath requires 192 litres, the VitrA Balance bath only requires 130 litres. This not only saves you money but is better for the environment as your use of clean water is reduced thanks to the bath’s economical product engineering. VitrA is a leading brand name in bathrooms, offering superb product design. 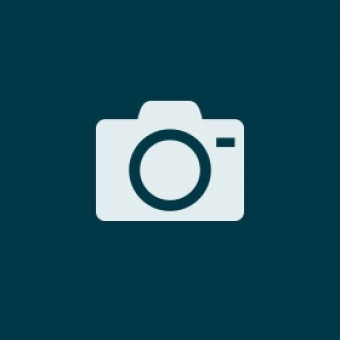 Their products are well built, robust and made to last. VitrA bathrooms offer a wide range of products for every budget in varying product group collections, this Balance Bath is in the VitrA Bathroom Collection and offers fantastic value for money. 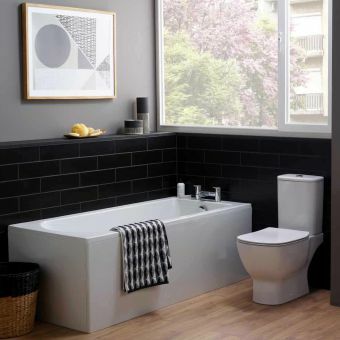 This terrific economical acrylic bathtub is suitable for a huge range of bathroom installations- for renovators, first-time buyers or those on a budget who are still looking for lasting quality and reliability. 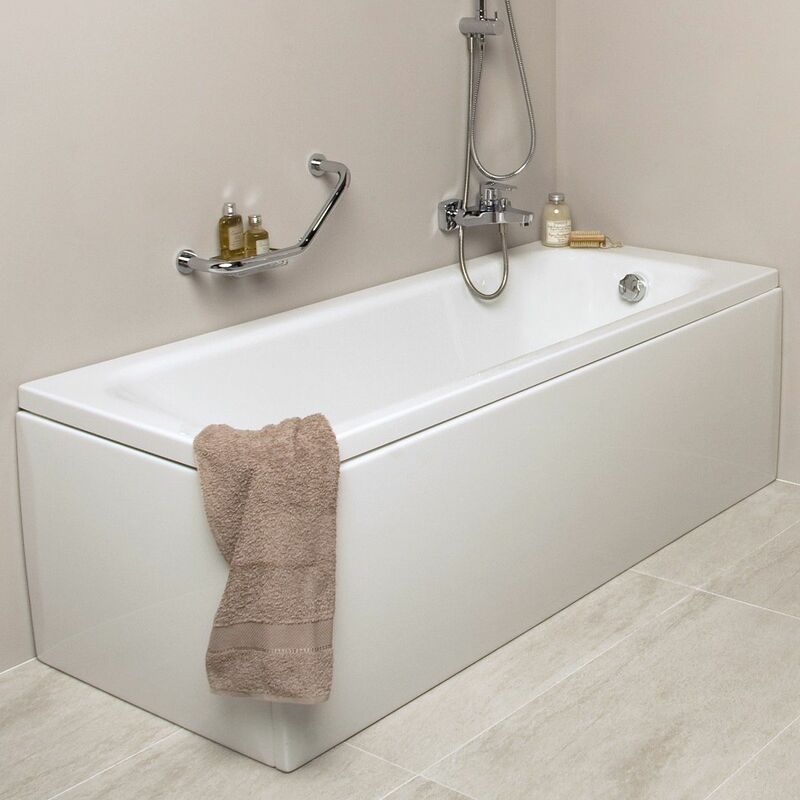 The bath comes with a leg set which is adjustable for untrue floors, bath grips are optional for these requiring bath handles, this can make getting in and out of the tub easier for all the family. 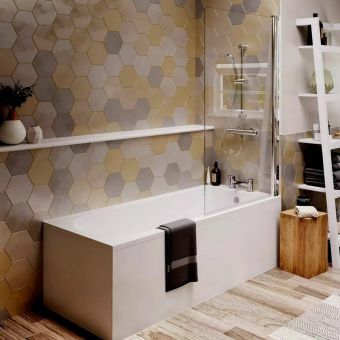 Bath panels are also an optional add on, alternatively, you could tile the bath in for a European aesthetic. The bath is acrylic and comes undrilled for tap holes, these are drilled in by your plumber to suit your choice of bath tap(s) or left undrilled if you have a wall mounted bath filler. 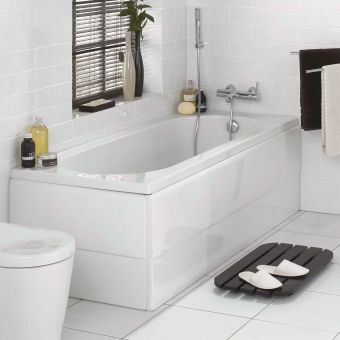 The waste and overflow are pre-formed, the bath requires a waste which can be purchased from us in addition.